For all of ways we use the term "Epicurean," here's something strange: the original works of Epicurus himself have never been found. It's only through letters and quotations that we glimpse his work. 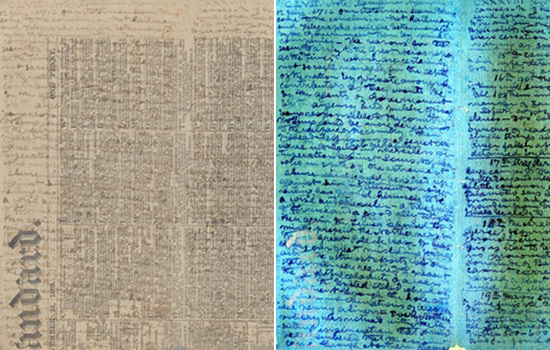 But what if a library on a seaside villa contains the lost works of Epicurus -- and dozens of others? Click here to access the recorded interview on the WXXI web site. 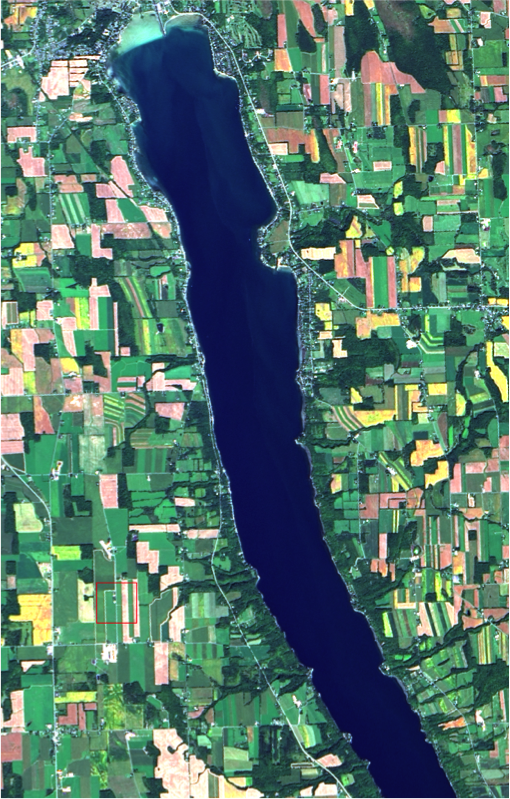 The NASA satellite Landsat 8 captures an algal bloom, faintly visible in light green waves across Owasco Lake on Sept. 21. Cold weather has brought some relief as water tests for the city of Auburn and town of Owasco continue to return with no detectable levels of blue-green algae toxins. The public water supply, which serves approximately 45,000 Cayuga County residents, has not shown levels of microcystin, the toxin that can be produced by harmful algal blooms, since Oct. 10. The Cayuga County Health Department has spent weeks testing both the raw and treated drinking water, sending samples to the state Department of Health's laboratory in Albany. But while staff there were testing the water in the treatment plants, watershed groups were out on Owasco Lake itself, watching for the blooms. Bob Brower, president of the Owasco Watershed Lake Association, said once per week about 40 volunteers scoured the shoreline of the lake, which has been mapped into 24 inspection zones. With the guidance and expertise of the Owasco Lake Watershed Inspection Program, volunteers are trained to identify blooms and report them. While this part of the surveillance program has been effective for finding and reporting shoreline blooms, Brower has started to develop what he's at times referred to as the association's own navy — combining satellite imagery, drones, data collecting buoys and on-the-ground searches for a more comprehensive view of what's going on in Owasco Lake. Partnering with Rochester Institute of Technology's Center for Imaging Science, one day this summer all the components aligned. On Sept. 21, a NASA satellite called Landsat 8 flew overhead. A volunteer with a drone donated his equipment and time, and with the cloudless skies observers were able to capture video footage and satellite imagery of the green streaks stretching across the northern and central portion of the lake. It was something volunteers would not have been able to see from their shoreline vantage points. "We were both elated, because we had this marvelous good fortune to have the drones and satellite deployable at the same time to have a bloom occurring, and to have it in conjunction with an oversight, which comes every 16 days," Brower said. "And then, completely bummed by the bloom itself. It's one of those moments in life where you're really happy and really unhappy." Little did Brower know, one day later the town of Owasco's treated drinking water would first show detectable levels of toxins. Anthony Vodacek, a professor of Imaging Science at RIT, said Landsat 8 is part of a number of satellite sensors launched since 1972. The sensors have improved over time, and while traditionally they've been beneficial for looking at oceans, he said Landsat 8 has been able to photograph on a much smaller scale. Photography from an older sensor, for example, can take a photo where one pixel is the equivalent of 1 kilometer. "Obviously useless for Owasco Lake," Vodacek said. But Landsat 8 has been able to narrow that down, with one pixel equaling about 30 meters. "That has really been unprecedented to have the sensitivity of the system," Vodacek added. Nina Raqueno, a research staff member with RIT's Digital Imaging and Remote Sensing Laboratory, has collected samples on the lake this summer with PhD candidate Ryan Ford. Ford's project at RIT is exploring how to use Landsat imagery for scientific applications, and more specifically how to use it to identify blue-green algae. Raqueno said while the satellite view is helpful for determining where the blooms are, the blooms have been known to occur below the surface, and that the satellite cannot detect. Brower said the blooms have been spotted as deep as 60 feet in the lake. Three buoys stationed in the lake, too, collect data on the water such as temperature, PH, oxygen, and other characteristics. It's helpful, Brower explained at an OWLA meeting in October, to see what the conditions of the lake are during a harmful algal bloom, and may help provide clues as to what is causing so many to pop up during the late summer months. Andrew Snell and Tim Schneider, who run the inspection program, also drive around the lake, monitoring certain sites. When a bloom is reported, depending on its intensity, they'll collect a sample and send it to a laboratory to test its toxicity. Working with the state Department of Environmental Conservation, if a bloom is discovered to be toxic, the public is notified on a Harmful Algal Blooms Notification Page. That page is updated every Friday between May and October with the extent of the bloom and whether toxins are present. Schneider said last year's blooms were more extensive, but this year's blooms appear to be more concentrated in coves with higher toxin levels. They've observed most of the blooms in the northern third of the lake, with some localized shoreline blooms at the southern end. Now with winter on its way, the surveillance program has come to a close. Schneider said he'll still head to the lake shores now and then just to check on things, but he's not expecting any more large blooms this year. Meanwhile OWLA and others are planning for next year, and Brower hopes that will include more drone work. Raqueno and Ford hope they can incorporate their own drones, which they said can use different filters to detect whether an algae bloom is just algae, or blue-green algae based on the light wave lengths it emits. The study and monitoring is a small piece of the $600,000 state grant OWLA received, with about $6,581 going to the Owasco Watershed Inspection Program. Still, Brower is hoping to bolster the program. "These (harmful algal blooms) are not just near-shore phenomenon," he said. "Our sampling team, which has been doing this every week, can't see the deep sections. The satellite imagery can't see the sidelines as well, so it's a nice correlation." For more information on the inspection program, visit owascoinspection.org.